Wilson Primary School, located in the heart of Phoenix, is a preschool through third grade school in the Wilson Elementary School District with approximately 600 students. At Wilson Primary, we have provided a superior education for multiple generations of families. In fact, many of our current students have parents or grandparents who attended Wilson schools! A visit to our campus shows a student-centered community focused on making a difference for every child. Our students demonstrate respect for others and enthusiasm to achieve great things. Our committed staff often goes above and beyond to ensure that each child is as successful as he or she can be. In our classrooms, visitors see students engaged in purposeful learning facilitated by experienced and caring teachers. Wilson Primary also offers after-school tutoring programs to assure that struggling students develop a solid foundation for lifelong learning. Technology also plays an important role in our classrooms. Each classroom is outfitted with 20–30 computers, SMART Boards, document cameras, and overhead sound systems. 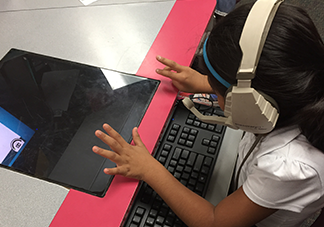 These state-of-the-art tools provide students with the 21st century learning opportunities necessary to succeed in an increasingly digital world. To provide students the skills necessary for success in life. We release students at 12:45 p.m. on early release days.